You might remember a few weeks ago when I shared pictures of a baby shower for my dear friend Becca and her "little man" Caden. Caden was born on Wednesday morning, and is so, so precious! A few hours after his arrival, Becca & Adam found out that Caden's heart isn't healthy and that he is in need of open heart surgery. The surgery has been scheduled for Monday. 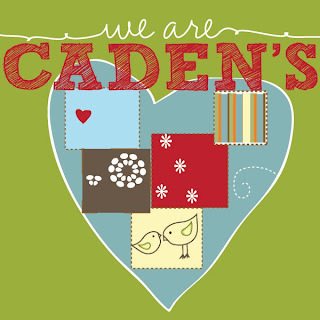 You can read the current updates from Becca and Adam about Caden's little heart on the Stanley's blog (in order) here, here, and here. Matt and I are hurting for our friends and their sweet baby son, and we are trusting God with them. Please join me in praying for Caden and for the Stanleys--Adam, Becca, and (big sister) Jayci. You can stay updated with the Stanleys and find out how to pray for and encourage them through their family blog, The Stanley Clan.